The seventh season of "High Stakes Poker" is set to kick off tomorrow (Saturday) at 8/7c on GSN. "High Stakes Poker", which is arguably the best poker-themed television show to hit the air since the "Poker Boom" started back in 2003, has undergone a number of changes this year. The host of "High Stakes Poker" through its first six seasons, Gabe Kaplan, is no longer with the show. In his place is former SNL cast member Norm MacDonald. Another big change? Thanks to an ongoing battle with Pokerstars, Full Tilt Poker decided to hold its entire roster of sponsored pros off of the show this season. That means no Phil Ivey, no Tom "durrrr" Dwan and no Patrik Antonius. 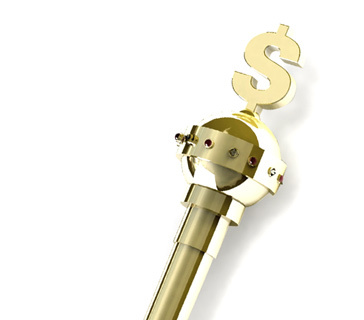 So who is playing on season seven of "High Stakes Poker"? Names such as Antonio Esfandiari, Barry Greenstein, Daniel Negreanu and Doyle Brunson will all be making appearances this year. Daniel Negreanu was not originally scheduled to appear on Season 7 due to a scheduling conflict, but he ended up making it to the last day of taping. David "Viffer" Peat, Johnny Chan and Phil "OMGClayAiken" Galfond are some of the other names who will also be making appearances on the newest season of "High Stakes Poker". It will be interesting to see the ratings for HSP7. Will fans tune out due to the fact that three of poker's biggest names (Ivey, Dwan and Antonius) will not be appearing on the show? How will fans react to Norm MacDonald replacing Gabe Kaplan as the new host of the show? 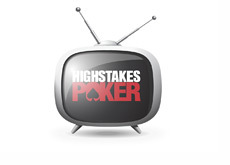 We'll begin to see how fans like the new "High Stakes Poker" when Season 7 premieres on Saturday night..